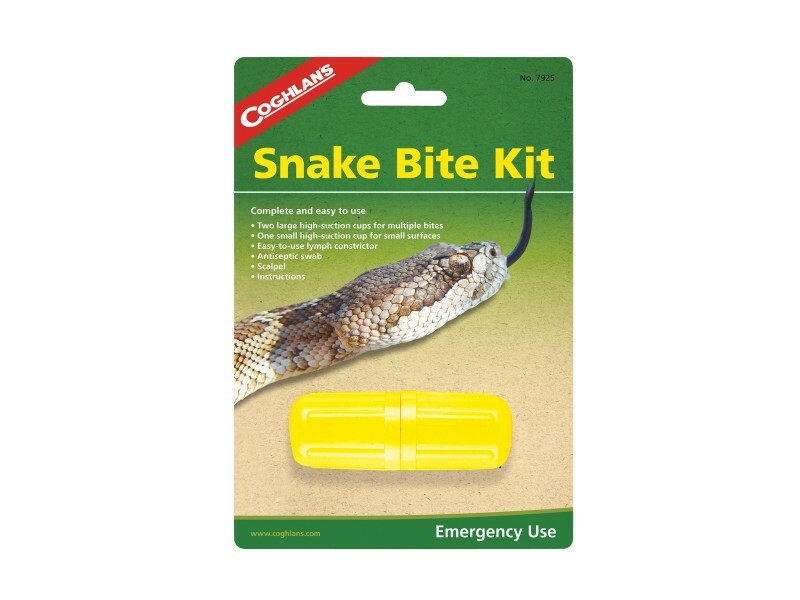 Coghlan's Snake Bite Kit is a complete, compact kit for the treatment of snake bites using the constrictor/suction method. 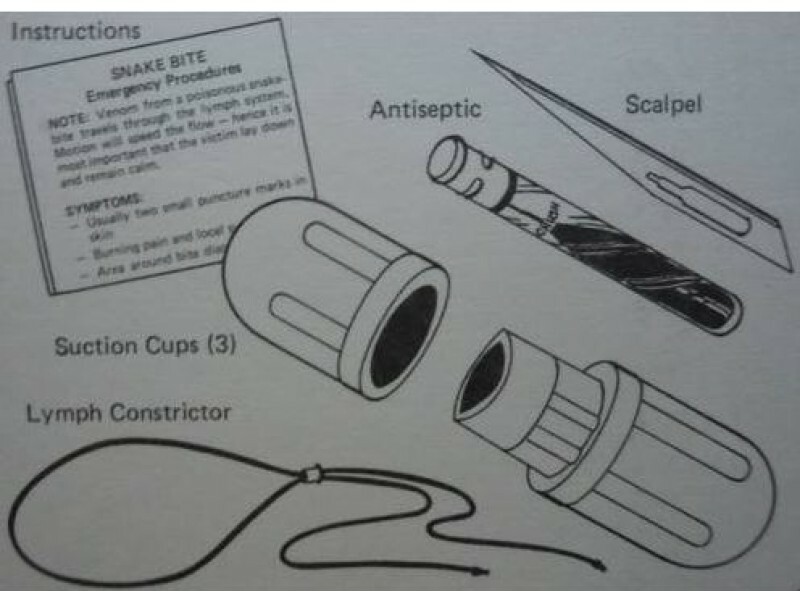 Snake bites can happen anywhere and we all need to be prepared. 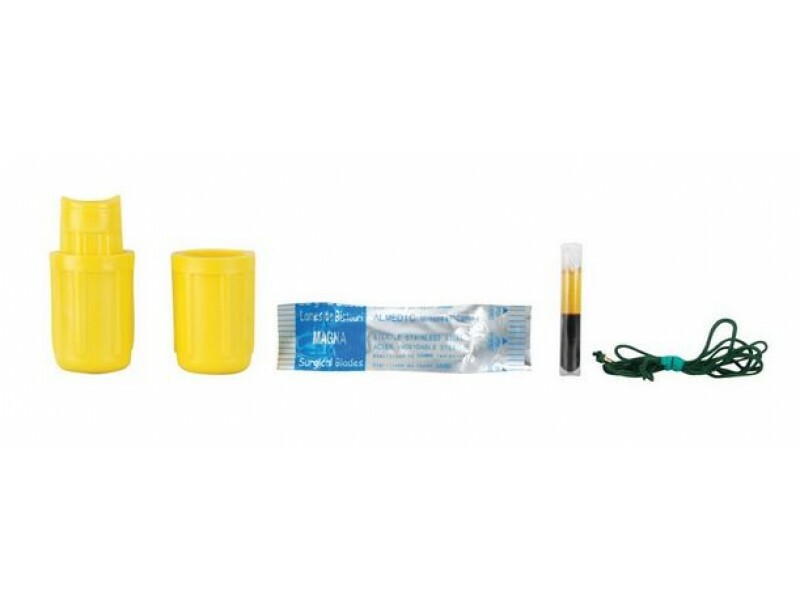 This kit should be in every household. 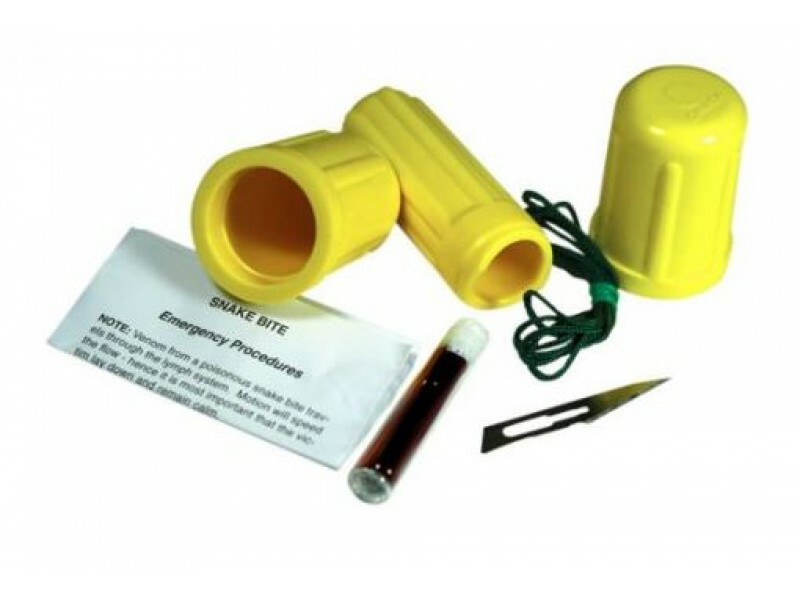 Keep one in your home, car, RV, shed, travel bag or purse. 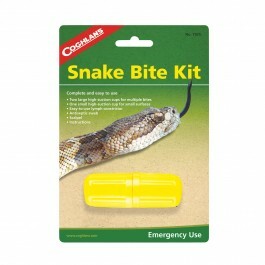 Coghlan's Snake Bite Kit has three different suction cups included; each shaped to fit different contours of the body, so that no matter where a person might have been bitten, they will be able to get a proper, airtight seal around the wound with the suction cup.